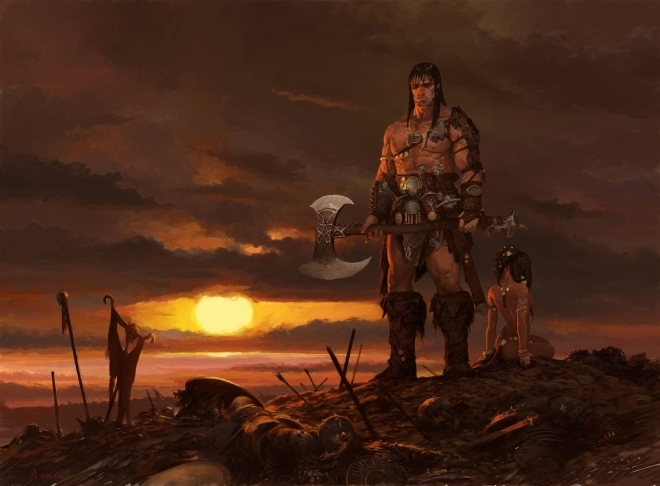 Robert E. Howard's Conan series of books had a very wide cast of characters. The titular barbarian king traveled far and wide across Hyboria and met with many strange creatures. Howard was also friends with H.P. Lovecraft, and you can see where that friendship influenced certain things, such as Yogah of Yag. Now, you can add Yogah, as well as some new crossbowmen, to your games of Conan. You're going to be getting a whole bunch of stuff in the base game box for the Conan board game coming from Monolith and Asmodee. Plenty there for hours of gaming. But if you're anything like me, you know that after a while, you're gonna want to expand out from it. Thankfully, there will be numerous extra sets you can use to add to the game. One such is the Kushite Witch Hunters set, of which we get a look at here. Long ago, the Gods fought against the mighty Titans. In the end, the Titans were imprisoned. However, the Titans found a way to break out. They attacked Olympus, home of the Gods, and sought out their revenge, killing many of the Gods that had originally jailed them. The Gods rallied, though, and were able to once more defeat the Titans. But the cost was great. The Gods are greatly weakened, having lost their immortality, and many losing their life. The Gods that remain are seeking out the Omphalos stones, which will give them back their powers. However, they all are looking to be the first to find them, as it will mean they will be able to rule over the other Gods and create a pantheon of their own. 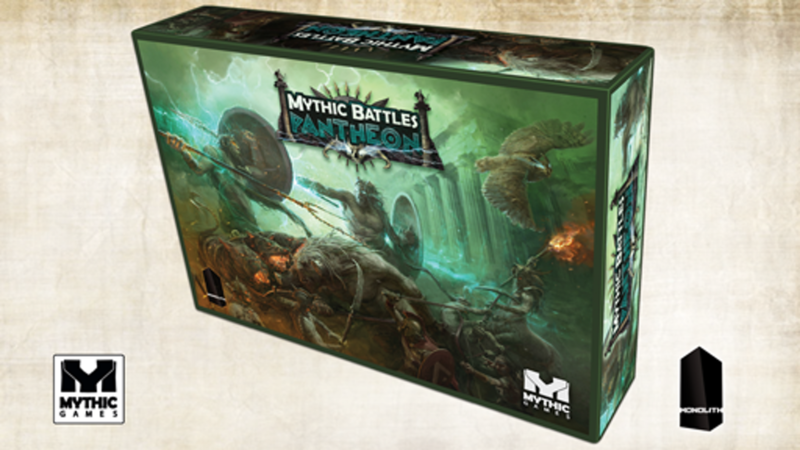 That's the story behind Mythic Battles: Pantheon, a new board game up on Kickstarter. 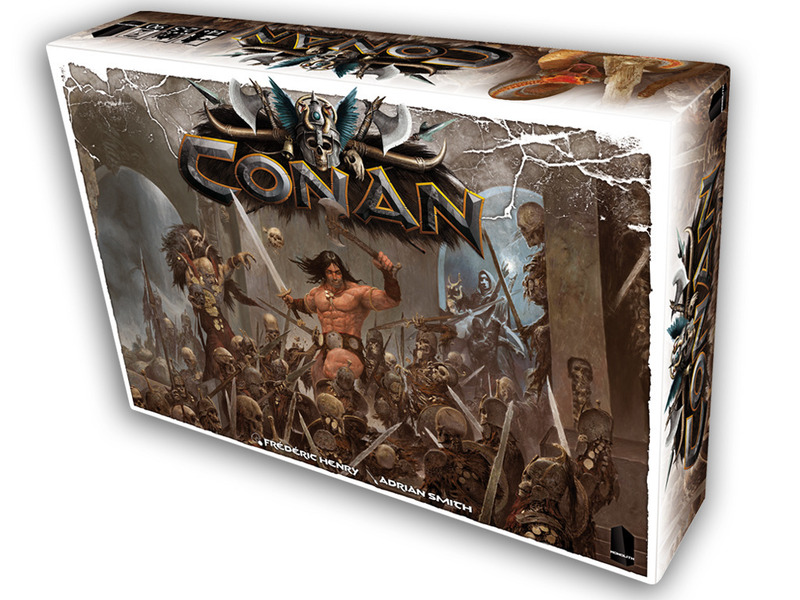 As people have started to get their copies of the Conan board game from Monolith Games. As such, everyone else is getting a bit of a look inside of it in preparation for when the game comes out on November 23rd. But for those that don't have a friend whose copy they can borrow, Asmodee gives us a look inside the box. This time around, we check out some of the equipment and spells your characters will be able to acquire while you play. You know, if several games are all based on the same source material, there's plenty of opportunity for cross-overs. That's the feeling behind Modiphius and Monolith joining forces on the new Conan RPG that's up on Kickstarter. Now, if you had backed the board game by Monolith, and want to get some RPG action in, Modiphius is here to help. Kickstarters sometimes end up at rather inopportune times for people. Maybe you just backed another project you're really excited about, or maybe it falls in-between pay periods, or maybe you had some car repairs or something. Whatever the reason, perhaps you weren't able to get in on the campaign while it was running. Thankfully, there's when the Pledge Manager opens up and you have another chance to get in on things. Monolith Games has just opened up their pledge manager. Monolith Games is doing a crossover with their Conan board game and the Blood Rage Kickstarter. 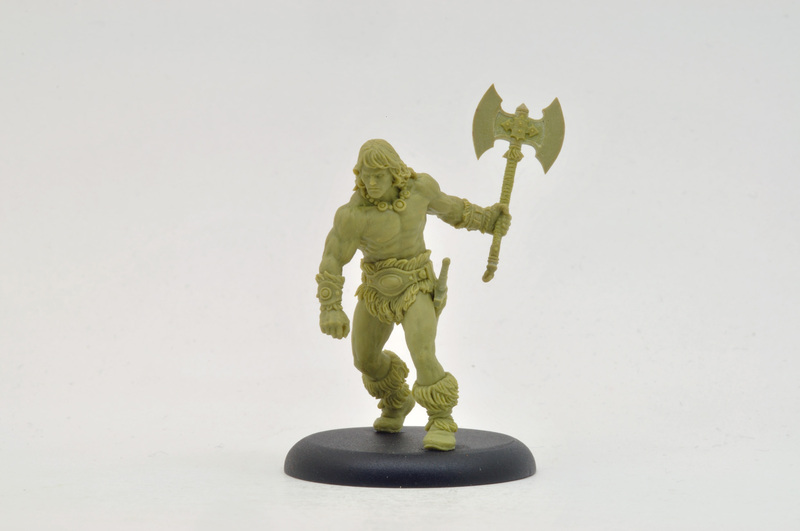 The Conan game will now include a scenario using models from the Blood Rage game, since they're the same scale, same theme, and heck, even have some of the same concept artists! Modiphius Entertainment has announced that they will be making a new RPG game based on the works of Robert E. Howard. Conan: Adventures in an Age Undreamed Of will bring in some rather big names, like Timothy Brown (creator of the Dark Sun setting), Jeffrey Shanks (an award-winning Howard historian), Jason Durall (he worked on Serenity), Chris Lites (who's done work with Paizo and for Savage Worlds), and more. They will also be partnering up with other Conan properties, such as Monolith's Conan board game to let you use those minis in the RPG, as well as working with the Conan MMO. The game will be on Kickstarter this summer with a release planned for the fall. Monolith Games has listened to you, the backers of their Conan board game Kickstarter campaign, and expanded their Khitai expansion to include more. More what? More just about everything. 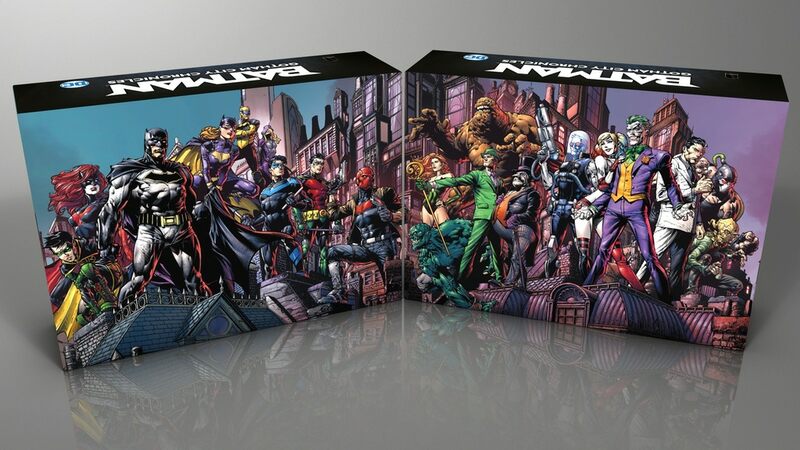 There's a new hero, a new game board, and a pair of new scenarios. The campaign still has a little less than 2 weeks to go. Go take a look and see all the good stuff going on. 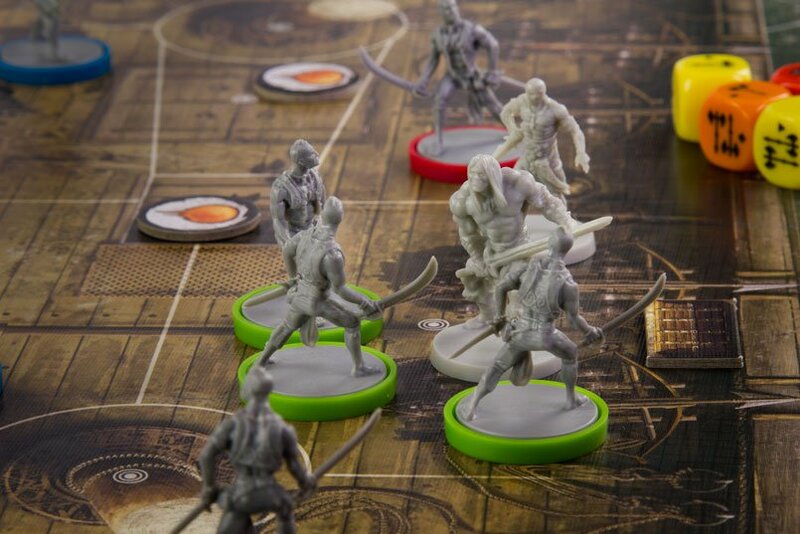 Monolith Games has launched their Kickstarter campaign for their new Conan board game. The scenario-based game has several players playing as iconic heroes from Robert E. Howard's books, while the other controls the various evil entities that stand in their way. The game even has solo modes, if you want. The game's already more than 2x funded, so be sure to keep an eye out for stretch goals and extras. 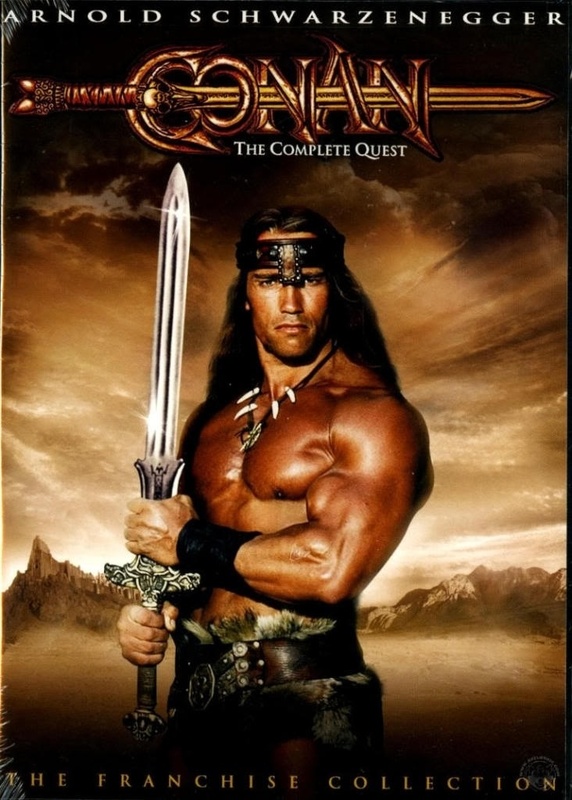 Monolith, a new company, has the license to create a new board game based on Conan. They've got some preview art pieces and WIP sculpt up. Note: The linked article is in French. The newly founded Monolith company will soon launch a Kickstarter campaign to fund a miniatures boardgame on the Conan license. Conan The Legend will be published in English and French and and will launch internationally in 2015. Many famous names are associated with the project, such as Adrian Smith, for the art direction. He will be supported by a team of renowned sculptors: Stéphane Simon, Yannick Hennebo, Jacques-Alexandre Gillois Stéphane Nguyen, Gregory Clavilier. More info on les Maîtres du Jeu.